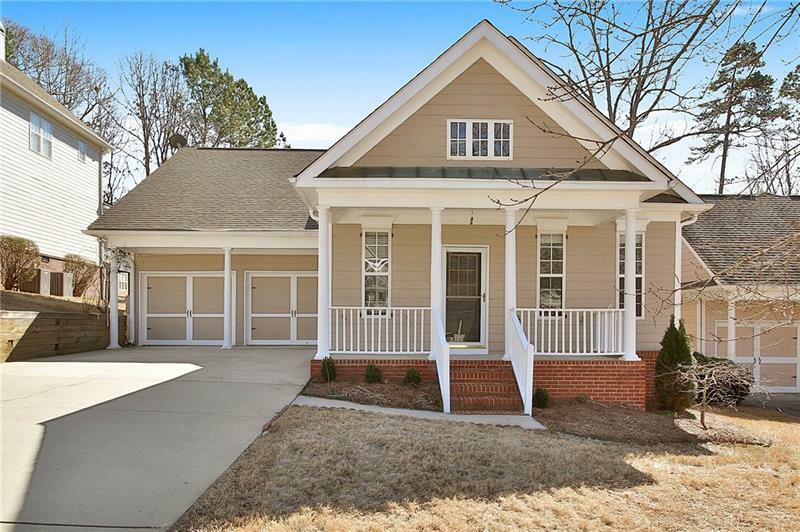 Charming cottage house in desirable north Peachtree City neighborhood! Walk to shopping and restaurants and easy access to I-85. Master on main, hardwoods throughout, new granite in kitchen, vaulted ceiling in great room, freshly painted interior. The exterior has rocking chair front porch, a private fenced backyard. Close to everything - minutes walk to Kedron Village - Target, Kroger and Restaurants. Send your children to the most highly acclaimed schools. A representative from Metro Brokers has received your request to visit 105 Hanbury Lane on at .